Estonian expertise can be of great use in strengthening Europe’s digital society, connecting governing institutions and citizens at the EU level, and improving connectivity between European countries. Learn about the methodological framework of the EU Cohesion Monitor and the quest for better pan-European data. ECFR’s Coalition Explorer shows Spain to be an outlier in Europe – as it places great weight on foreign policy. But could new political turbulence thwart its ambitions once more? Only by comprehensively democratising the European project can we meaningfully strengthen European cohesion. A Polish-Italian alliance may counteract the Franco-German driving force for European integration. EU member states’ high regard for Britain in security and defence may be on the wane. What can London do to stop the slide in the post-Brexit era? Smaller EU member states are most committed and best place to push for alliances for a common energy policy and address climate change. Although Austria has the potential to influence EU policymaking more, the country often stands in its own way. Despite financial and refugee crises, research suggests the European Union is getting stronger, not weaker. Survey of experts in 28 capitals illuminates the complex network of relationships among EU member states. This volume reflects the diversity of European cohesion. It provides the national context and personal assessments from 28 EU member states. A new study from ECFR shows that, perhaps surprisingly, between 2007 and 2014, cohesion among EU member states has improved, even after years of crises. Is there a role for Europe in Asia? Midterm elections: Will US foreign policy change? Mark Leonard speaks with Craig Kennedy, Jeremy Shapiro and Anna Kuchenbecker about the election results and Donald Trump's tenure. The podcast was recorded on 8th November 2018. What does Angela Merkel’s decision to stand down as leader of the Christian Democratic Union (CDU) mean for Germany and Europe? Mark Leonard discusses with Josef Janning and Susi Dennison the political implications, and expectations for party leadership: Annegret Kramp-Karrenbauer, Friedrich Merz, Jens Spahn. The podcast was recorded on 31 October 2018. Moderation: Lykke Friis, Korrespondentin Berlingske, dänische Ministerin für Klima und Energie a.D.
ECFR’s EU28 Survey reveals the interactions, perceptions, and chemistry between the 28 EU member states. This week, Mark Leonard joins Josef Janning, Christoph Klavehn and Almut Möller to discuss findings of the expert poll that will be published in the “EU Coalition Explorer” on Thursday, 30 October 2018. This podcast was recorded on 25 October. Mark Leonard speaks with Josef Janning, Silvia Francescon, Piotr Buras and Manuel Lafont Rapnouil about the major rift between German Chancellor Angela Merkel and her interior minister over migrant policy. Almut Möller on the significance of the Franco-German relationship in the post-Brexit EU. Almut Möller appears on the ZDF heute+ as an expert on Brexit. Two weeks before the official Brexit date, Josef Janning discusses the possibility of a hard Brexit on SWR2. 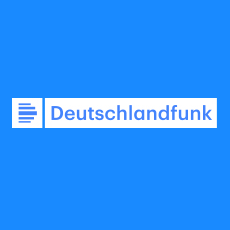 In an interview with Deutschlandfunk, Josef Janning discusses an offer by the EU, which would allow Northern Ireland to remain in the customs union, even if the UK leaves it. Manuel Lafont Rapnouil and Ulrike Esther Franke are quoted by EURACTIV regarding European defence. The main source of the toxic political climate in the UK is the conflict among the tories, states Josef Janning with respect to the debate in the house of commons on how to proceed with Brexit. Susi Dennison & Pawel Zerka's new report regarding 2019 European elections and anti-European parties is quoted by Courrier international. 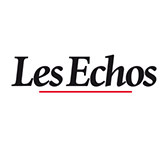 Susi Dennison & Pawel Zerka's new report regarding 2019 European elections and anti-European parties is quoted by Les Echos. Susi Dennison & Pawel Zerka's new report regarding 2019 European elections and anti-European parties is quoted by The New Federalist. Launched in 2015, Rethink: Europe crafts policy strategies based on data and dialogue. The initiative harnesses surveys of experts, open data sources, and government statistics to analyse cohesion and cooperation in the European Union. Rethink: Europe also provides a forum for discussions of its work, hosting briefings and public events for policy professionals and others who have an interest in new strategies for improving European cooperation. Rethink: Europe is supported by Stiftung Mercator. Once again, European integration has come to a crossroads. Cohesion within the EU, among publics and member states alike, has weakened seriously. Political frictions have grown, a populist Europe-scepticism is flourishing. The EU's capacity to deliver is viewed critically; many speak out in favour of strict controls over the integration process if not renationalization. Institutional frictions within the EU's hybrid construction of supranational and intergovernmental layers remain; the imperatives of crisis management have added new structures and processes within and outside the legal framework. In light of all this, Europe needs to be reconsidered. Under the auspices of an ever more interconnected and interdependent global environment European integration would have to be reinvented if it didn't exist. However, the challenges of a globalized world will not suffice to navigate integration through the rough waters of muddling-through, Europe fatigue and scepticism. The European idea is in need of reinvigoration, and Europeans need ideas to re-engage. That is why Europe, the European Union, and the strategies for integration need to be rethought, policies and practices need to be reviewed, reworked and reintroduced into the policy debate. This is what the project Rethink: Europe is designed to do. It is meant to create responses to the issues shaping Europe's internal cohesion, and its capacity to act in the world. Both factors, cohesion and the capacity to act, build on each other, mutually reinforce integration or weaken it further. Underlying the policy agenda are these two fundamental considerations for the future of European integration. On the one hand, the EU, its member states and people depend on a shared sense of belonging, an understanding of the interdependencies in economic, social and political terms, which form the basis of the European construction, and a shared set of values and beliefs about their political order, which is specific to Europe in comparison to other parts of the world. Typically, such notions and beliefs make up the substance of socio-political identity and cohesion. On the other hand, European integration largely depends on output, on the ability of its supranational or intergovernmental structures to deliver on the interests, needs and demands of the people. Because of its incomplete political construction and the complementary nature of the national and European layers or governance, the joint capacity to act is an essential building bloc of the EU's political legitimacy. Both aspects are closely interlinked. Cohesion and identity are essential underpinnings of the capacity to act in as much as output strength will reinforce the sense of togetherness. Against this background, Rethink: Europe pursues the nexus of cohesion among citizens and among states in Europe and the EU's capacity to act both internally and externally. Through their joint project ECFR and Stiftung Mercator seek to develop policy responses to the mid-term challenges to European integration, and introduce the project results to German and EU-wide public policy debates.